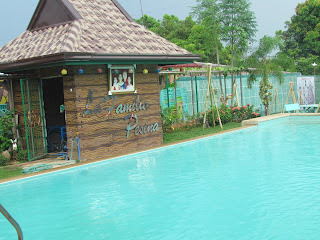 We had our family swimming last Tuesday (May 1) at La Familia Pesina in Sta.Maria, Bulacan. 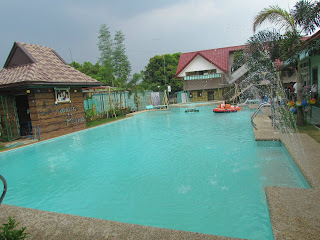 We rented the whole resort for ₱6,000 from 1PM till midnight. Meg is always afraid of the pool and water but last Tuesday was a different thing. My brother taught her to "push the water" and then before I joined her, she's not in the kiddie pool anymore. 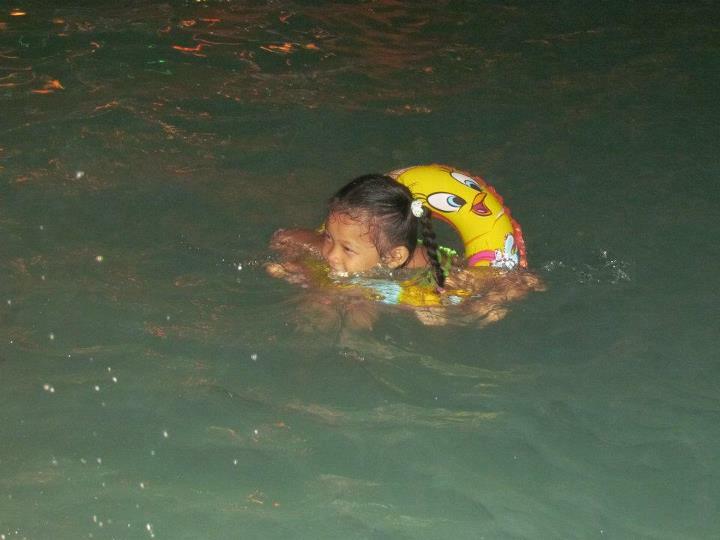 She's in the middle of the big pool (4 ft. I think) with her salbabida. I had a hard time to convince her to get out of the pool. She stayed until 7PM and after eating two plates of rice and adobo, she fell asleep! 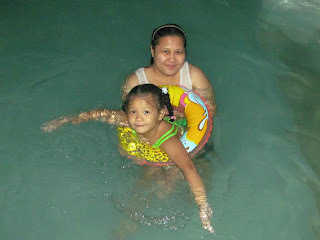 I'm happy that she did overcome her fear and even asked me if she can still have swimming lesson. I hope I can still enroll her on the 5th batch of Swimtech in Angelicum College. The pool was OK considering we have it for ourselves only. I think we're less than 30. But their restroom and shower room are not separate and the water supply is low. I won't recommend this resort. (evil me). :D Good thing I didn't organize this and MEG had FUN that day. 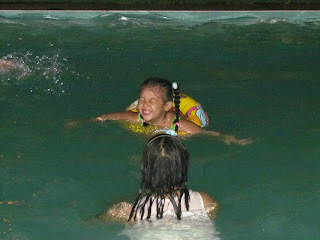 well your daughter looks like she is having a great time in that pool!! it feels good to swim under the rain, how lucky to have that chance. like what they said, the pool looks great. we also went to a pool in laguna and i can't say i can recommend to everyone because it's okay but there's so many people because it's a public pool. 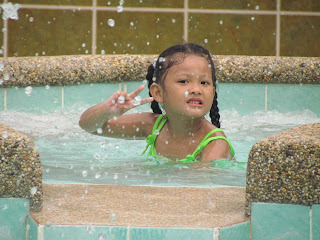 swimming is number 1 on my kids list when summer comes! 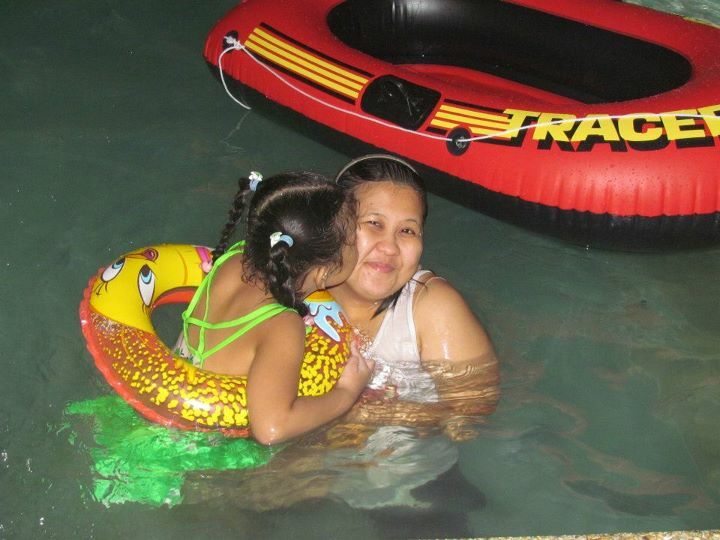 :D happy mother's day! looks okay sis but got turned off with the downside. mura na sya for 6k tpos halos night time un shift nya. longer time pa. un nakuha namin sa may antipolo, 6.5k 8-6pm naman. i thought i could recommend it for next year.. around 50pax ksi kami. :D nice post sis!